Take junction 8 towards toward Reigate on the A217 and bear off left along Gatton Bottom. Continue to the “T” junction with the A23 and turn right. Continue to the next set of traffic lights and turn left into New Battlebridge Lane. 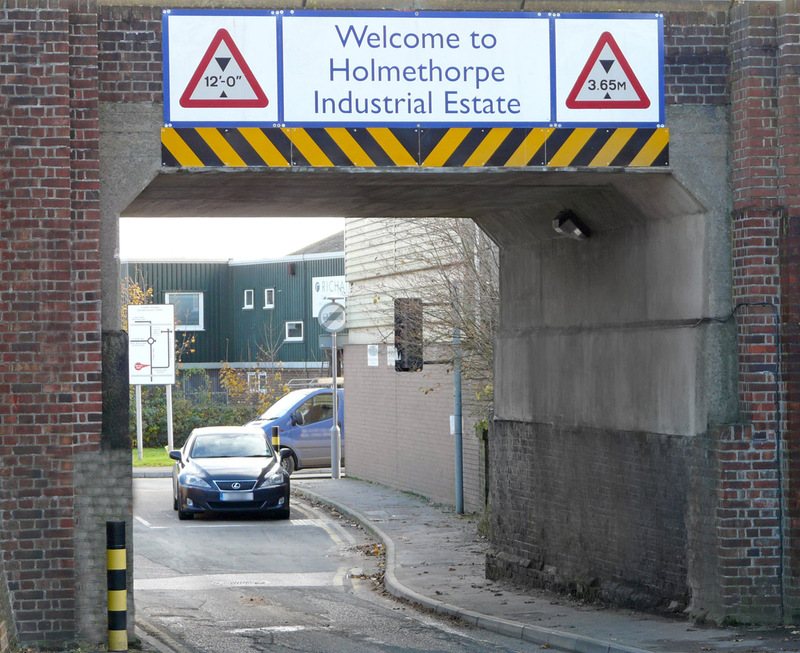 Follow the road to the right at the next traffic lights to access the Holmethorpe estate under the new bridge on Ormside Way. Go right at the roundabout into Trowers Way. Turn left before the bridge and traffic lights into Holmethorpe Avenue. Turn left at the “T” junction and follow Holmethorpe Avenue to the eastern end. Cliff™ is towards the end on the left, (number 76). Take the M23 to it's northern end where it becomes the single-lane A23. Make a ‘U’ turn (safely) to come back south on the A23. After Merstham follow the road to the next set of traffic lights where you turn left into New Battlebridge Lane. Follow the road to the right at the next traffic lights to access the Holmethorpe estate under the new bridge on Ormside Way. Travel through Redhill on the A23. As you leave the town centre, center, turn right at the traffic lights into Frenches Road, where Holmethorpe estate is signposted. Note this access has a 3.5m (12’) height and a 7 ton weight restriction. Vehicles over 3.5m high and 7 tons must access the estate via the northern entrance off the A23. This is via New Battlebridge Lane and Ormside way, under the new bridge. Our offices are a 30 minute train ride from London Victoria or London Bridge. Our nearest station is Redhill which is on the main Brighton line, (including Gatwick airport). Trains tend to run every 30 minutes from London. We are a 20 minute walk from Redhill station or a 25 minute walk from Merstham station. Route 405 runs between Croydon and Redhill along the A23. Stop at Monson Road and use the eastbound footpath shown on map. Heathrow airport is 45 minutes by taxi. Gatwick airport is 15 minutes by taxi.